Participating in higher education isn’t only great for your general knowledge in your chosen area of interest and your wider world experience, but it’s brilliant for your resume too. Think about it. While many students pursue higher education through a sheer passion for the subject at hand, the majority of individuals will also intend to gain access to more high-level entry positions and graduate level jobs upon graduation. A degree is a financial investment. However, wherever there’s money involved in anything, there’s someone out there aiming to make a profit. While a degree level of education can see you earn a much larger income, it doesn’t come cheap in the first place. 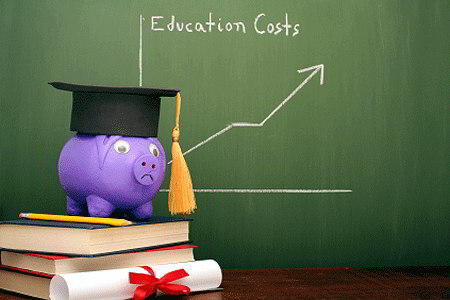 Many colleges demand upfront payment and tuitions fees are constantly increasing. This means that even individuals whose parents have saved for years to help out with the costs still have to take out student loans. These are expensive and have varying interest rates so you may find that down the line you end up paying off more interest than is desirable and you are only chipping away at your loan at an extremely slow rate. Here are a few ways that you can cover the costs of your education more effectively once you graduate. You may have taken out loans for different aspects of the student experience. Most people will take out one loan for tuition fees and another for living costs during their years of study. A good idea is to consolidate these loans. This means that you will only have to make repayments to one debtor. This means that you are less likely to miss repayment dates, which means you will amass fewer late payment fees or fines. You may also be able to find a lender who will offer a lower interest rate, meaning that you will pay less overall. For more information on this smart financial move, take a look at https://consolidatestudent.loan/. Now, it’s unlikely that you’ll walk into the job of your dreams immediately after graduation. But it’s important that you’re not too picky and try to find some sort of job in the relevant field as soon as possible. Remember that you can quickly move your way up the ladder in companies and many managers or business owners will initially place you in a low, starter position in order to check that you are competent before moving you into a role with more responsibility. Finding a job early on also exemplifies dedication and builds on your personal experience in professional roles, making your resume all the more impressive once job openings that you really desire come up. Even if you don’t land the job you apply to, interview experience will help to build your confidence and make you feel more comfortable once more impressive job opportunities open up. This will all allow you to start earning money sooner, which means you’ll clear your overall debt in much less time. These are just a few starter steps to take once completing your degree and collecting your certificate. But they will get you heading in the right direction which is always extremely positive.